For elected or appointed officials, it is the employer's responsibility to enroll employees who are eligible for DCRP membership in a timely fashion. This can be done by submitting a fully completed NJ DCRP Enrollment Application to the NJDPB, or by using the online DCRP Enrollment Application on EPIC. For employees ineligible for PERS or TPAF because they do not earn the minimum annual salary or hours requirements, employers must enroll members by using the online DCRP Enrollment Application on EPIC. Members who earn salary in excess of established “maximum compensation” limits are enrolled in the DCRP either when an annual base salary is reported on the Enrollment Application for the PERS, TPAF, PFRS, or SPRS that exceeds the maximum compensation limit, or when an enrolled member’s salary increases beyond the limit. 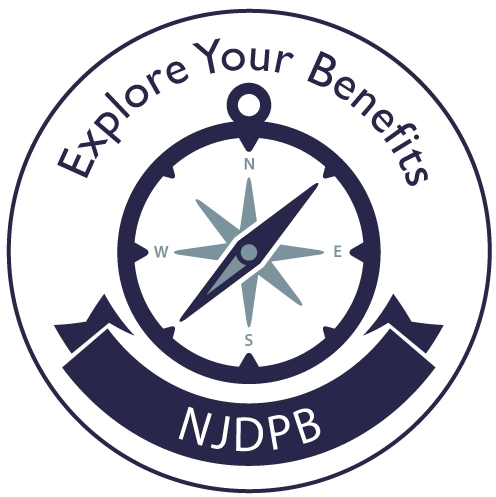 The employer can contact the NJDPB directly or can report this when submitting the Quarterly Report of Contributions. PERS, TPAF, PFRS, and SPRS members eligible for the DCRP because they have exceeded the maximum compensation limits may elect to waive participation in the DCRP by submitting the New Jersey DCRP Waiver of Retirement Program Participation for Employees Enrolled in the PERS, TPAF, PFRS, or SPRS within 30 days of the date the member becomes eligible for DCRP participation. For PERS, TPAF, PFRS, and SPRS employees enrolled in the DCRP because they earn a salary in excess of the annual maximum compensation limit, employers contribute three percent of the amount of employee base salary over the maximum compensation limit. *Base salary means the annual compensation of a member (plus the value of maintenance, if applicable) in accordance with contracts, ordinances, resolutions or other established salary policies of the member's employer for all employees in the same position, or all employees covered by the same collective bargaining agreement, paid in regular, periodic installments in accordance with the payroll cycle of the employer. Overtime, bonuses, and lump-sum payments for longevity, holiday pay, vacation, compensatory time, or accumulated sick leave are not included as base salary. Every employer reports employee contributions for all base salary paid to enrolled participants. The employee contributions are treated as contributions pursuant to IRC § 414(h)(2).The employer pays the three percent contributions directly to the Prudential. Such contributions, although designated as employee contributions, are paid by the employer. Employee contributions are treated for all purposes of the DCRP and State law in the same manner as employer contributions. The DCRP member contribution rate is set at 5.5 percent. The employer deducts member contributions from the applicable salary (base salary for elected and appointed officials, or the amount of salary over the maximum allowable compensation for eligible PERS and TPAF members who do not waive enrollment in the DCRP). These contributions, along with the employer contributions, are put into the DCRP participant's tax-deferred investment account with Prudential. The member is returning from a break in service that was the result of an involuntary layoff or reduction in force and the return is within 10 years of the date of the last PERS, TPAF, PFRS, or SPRS pension contribution and the account has not been withdrawn. If a member transfers into the PERS or the TPAF on or after July 1, 2007, from another pension system (PFRS, SPRS, or JRS), or the member transfers into the PFRS or the SPRS from another pension system after May 21, 2010; or the transfer occurs after a break in service that falls beyond the 24-month or 10-year exceptions described above, the member will be subject to the maximum compensation rules and DCRP enrollment. Please Note: The maximum compensation limit does not apply to employees who were already members of the PERS or the TPAF prior to July 1, 2007, or employees who were already members of the PFRS or the SPRS on or before May 21, 2010; these members are also not eligible for enrollment in the DCRP. IRC Sec. 401(a)(17) limits the amount of annual contributions that may be used to determine retirement plan benefits. Thus, for PERS and TPAF members enrolled in the DCRP on or after July 1, 2007, or PFRS or SPRS members enrolled in the DCRP after May 21, 2010, the employee's eligible DCRP compensation is the amount of salary that exceeds the annual maximum wage for pension contributions, up to the IRC 401(a)(17) limit.